Man’s best friend indeed. In the wake of the Orlando, Florida, massacre at Pulse nightclub that left 49 dead and another 53 injured on Sunday, June 12, therapy dogs from around the country have been flown to the city to offer comfort to survivors. “Just having the dogs sit on my feet literally has been … I can take five minutes and regroup myself,” Pulse employee Russell Walker told Orlando’s WFAA 8 on Tuesday, June 14. 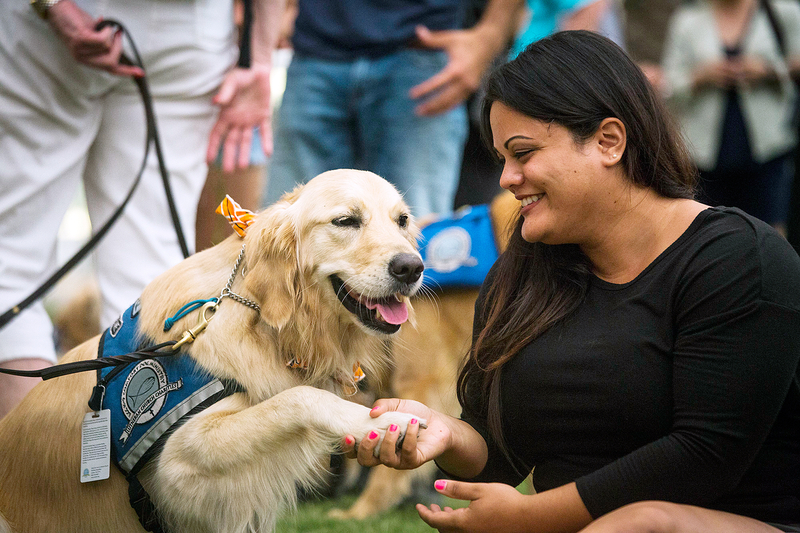 The Lutheran Church Charities helped coordinate the effort to bring the calming canines and their volunteer handlers to Orlando to offer some much needed solace. “On Sunday, we put a dispatch out to our dogs across the country to see who could come out, and after making flight reservations, here we are,” LCC president Tim Hetzner told The Dodo on Monday, June 13. The participating dogs were flown in from multiple states, including Iowa, Illinois, Texas, Tennessee and Wisconsin. The therapy dogs aren’t the only ones who are providing some comfort and aid to the victims. Pet Alliance of Greater Orlando announced on Sunday that it will provide short-term care for the pets of victims of the shooting who are in the hospital, as well as help families find permanent arrangements if needed. Loch Haven Vet in Orlando is also donating its services to victims’ pets, and D’Look Dog Suites is offering temporary dog boarding and daycare.